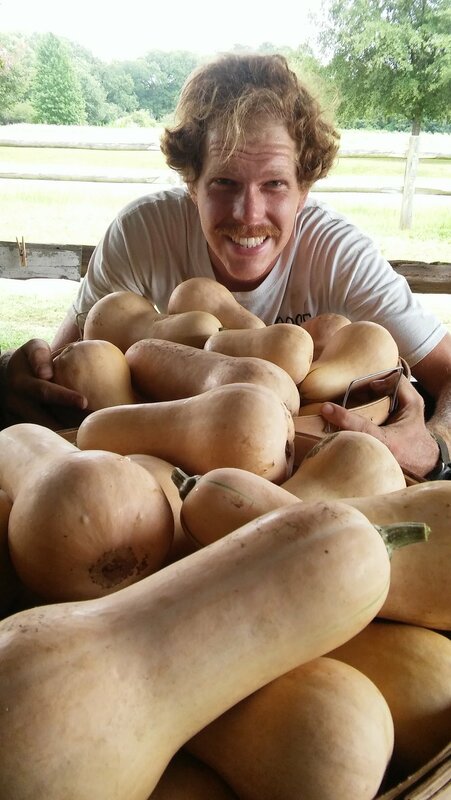 What does a farm have to do with hunger relief? If you ask us, everything. The Food Shuttle Farm provides locally grown, chemical-free produce for those in need. Eighty percent of the land under cultivation grows food for distribution at our School Pantries, Mobile Tastiness Machine, Mobile Markets, and Grocery Bags for Seniors, providing the freshest produce possible to those in need. The remaining 20% percent of the crop goes towards for-profit production to contribute to the farm's financial stability. Oftentimes, the best way to understand a food system is to see it in action. That's the Food Shuttle Farm. Sign up to volunteer and experience the magic of the farm. Visit us at the Farm or Farm Stand! Now you can experience the Food Shuttle Goats 24/7, thanks to LeithCars.com! Check in on Nemoy, Olive, Sugar and Priscilla LIVE 24/7 as they go about their goat day on the Food Shuttle Farm. The new “goat cam” is sponsored by LeithCars.com in their effort to raise awareness for the Food Shuttle Farm and the fact that hunger is a 24/7 problem. Morning feeding is between 7:30 - 8 a.m. The Farm Stand sells chemical-free produce and pasture-raised eggs produced on the Food Shuttle Farm. All proceeds support Food Shuttle hunger relief programs so you are not only buying fresh-picked produce, you are helping someone in need. The Farm Stand accepts cash, check, credit or debit card. SIGN UP FOR OUR FARM NEWSLETTER! Every person we serve has a story. BackPack Buddies kids, CJTP students, Seed to Supper graduates, all of them have an enlightening story to tell. Here is the story of Burmese refugees gardening on our Teaching Farm. Anna was first drawn to the Food Shuttle's mission and holistic approach to solving hunger. But it's the goats on the Teaching Farm that keep her coming back! Featuring a letter from Jill, big news in Durham, BackPack Buddies buzz, Plant-A-Row behind the scenes, HungerFreeNC look-back, volunteer spotlight & more!